It’s no secret that elections in Ukraine, like all other events, if it comes to that, are a matter of careful scrutiny in the country’s eastern neighbor. Just taking a look at Russia’s national television channels, you would think that the Russian Federation was occupied by Ukraine. Ukraine is the main headline-grabber. Talk-shows often dedicate 60-70% of their air time to events in Ukraine. No other neighbor of Russia’s has merited this much attention. And there’s a level at which it’s easy to understand Russians. After all, they don’t have elections of their own, just like Belarus and Kazakhstan don’t. So what’s left to gossip and speculate about is Ukraine’s vote. One of the main topics that Russians return to again and again, like a loose tooth, is the future of the Minsk Accords and LNR/DNR. Will there be a new team after the election? If so, how conciliatory will it be? Will it agree to legitimize the occupied territories and give them special status as a part of Ukraine? Or, on the contrary, will it continue the confrontation with the militants? And of course, against this background, the topic that is most hotly discussed now is who in Ukraine would be the optimal candidate for Russia and its satellites. The same issue is being raised in ORDiLO as well. The nominal leaders and official spokespersons for the “republics” have almost stopped talking about joining Russia, although in 2014 they called on the people of the Donbas to take up arms and come to the referendum for this very purpose. Now, there are earnest voiced instructions from Russia whose message is that DNR and LNR want to implement the Minsk Accords, meaning to rejoin Ukraine as counties with special status. Not long ago, Leonid Pasichnyk and Denys Pushylin made basically the same speech simultaneously, whose essence boiled down to saying that the leaders of the two “republics” were prepared for direct talks with Kyiv. This is all strikingly different from declarations of the militants in the early stages of the war about “we aren’t talking to any junta.” Of course, all those who made such statements are today either dead or were forced to return to Russia. RELATED ARTICLE: What’s in a campaign platform? “For my part, I’m ready to openly and directly talk with Kyiv, with the current leadership or whatever leadership replaces it, for the sake of peace on our land, for the sake of our children and their future,” says the latest statement from Pasichnyk, which was posted on his official site on February 21. In it, the LNR warlord also calls on Emmanuel Macron and Angela Merkel to use their influence with Petro Poroshenko and force him to negotiate directly with representatives of LNR and DNR. Which specific “Ukrainian opposition politicians” he has in mind is fairly easy to guess. First of all, they are Viktor Medvedchuk and Yuriy Boyko, who have publicly called for negotiating directly with the militants and giving ORDiLO the status of an autonomous region. Akhmetov’s people in the Opposition Bloc have made similar statements, albeit more cautiously. In this way, the situation in eastern Ukraine is slowly drawing closer to the point from which it started. Where in 2014 the “separatists” rose up against the local Regionals at some point, slipped out of their control and declared that the Donbas would no longer belong to them, right now they are already openly saying that they are ready to return to some form of cooperation with them. Pro-Russian parties and separatist armed groups are now talking the same language again. 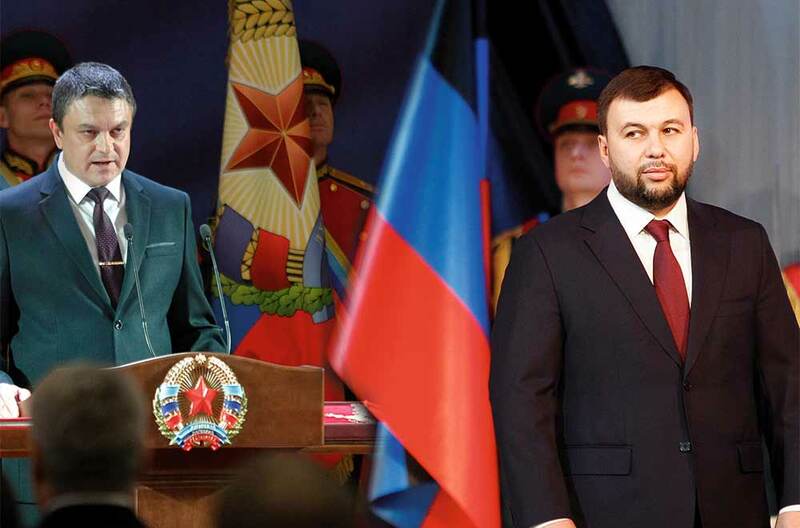 The current leadership of DNR/LNR shows no trace of yesterday’s radicalism. Yet the one-time field commanders of the militants whom the handlers have sidelined continue to push their line, insisting that ORDiLO can never return to Ukraine. Of course, the only place where they can make their radical statements these days is on their personal pages in social nets. For instance, the former commander of the Vostok battalion, Oleksandr Khodakovskiy, recently announced that even if a more pro-Russian politician comes to power in Ukraine, the militants would not agree to reintegrate. In fact, the problem Khodakovskiy talks about is very real. And it’s not clear how it can be resolved if the Minsk Accords start to be implemented properly. Thousands of armed militants will become extraneous if events unfold this way, not needed by either side, not Ukraine and not Russia. And what to do with them if the conflict comes to an end is also not obvious. It seems that the folks in DNR and LNR are the least aware of what should come next. Integration into Russia is no longer on the table. The Kremlin has ordered them to maintain a course towards a return to Ukraine, but no one knows how it should be organized, technically. It’s extremely unlikely that Boyko and Medvedchuk will win in the election Obviously the main battle will be between Yulia Tymoshenko, Petro Poroshenko and Volodymyr Zelenskiy. What each of these candidates might bring, even Moscow isn’t entirely sure right now. The general feeling around the upcoming Ukrainian election in the occupied territories can be described approximately as “anybody but Poroshenko.” In line with this communication strategy, the militant press is busy today quoting all the opposition candidates who are critical of the current government, including Tymoshenko and Zelenskiy, in a neutral key. Still, these same pro-Russian media sometimes also opine that Zelenskiy is Kolomoyskiy’s boy – the same Ihor Kolomoyskiy who sponsored “nationalist battalions” and “the murder of residents of the Donbas,” while Tymoshenko is no different from Poroshenko. For instance, after Tymoshenko spoke against offering autonomy to ORDiLO on February 8, her statement was quoted in the militant press very negatively, while radical bloggers and the militants’ spokespersons emphasized that there was really no good candidate in Ukraine for them. For instance, Konstantin Dolgov, a DNR supporter who lives in Moscow today, wrote that the only thing that could make Ukraine completely pro-Russian would be Russian occupation and that Russia needn’t count on any of Ukraine’s politicians. Whatever happens, Russia really cannot hope for some major shift in Ukraine’s political course after the election. Openly pro-Russian forces have almost no chance of winning, while the rest will not dare to betray the national interest. Besides, Ukraine is a parliamentary-presidential republic and the layout of political forces is currently such that none can gain sole power. In this kind of situation, the likelihood of radical changes in the country’s foreign policy course is extremely small. And that means that there’s unlikely to be a swift resolution of the situation in the Donbas, no matter who wins.